The sun is shining is and the weather is only getting warmer. As summer begins to heat up it’s time to start thinking healthy by eating green and growing your favorite vegetables. Let’s put the phrase ‘farm to table’ to good use by creating a vegetable garden in your own backyard. Now I know my favorite vegetables may not be yours, but in this article I will pick from personal experience some general favorites that are easy to grow. The first vegetable is a very common one. You always hear people talking about them and how excited they are to watch them grow. This vegetable is the tomato. I understand that botanically a tomato is a fruit, but for culinary purposes, let’s consider it a vegetable. Nothing beats the fresh taste of a nice fragrant, juicy, and homegrown tomato. They are a great vegetable to grow because they require little water and will produce fruit all summer long. To grow tomatoes you can plant them by seed or buy starter plants from a local nursery and place them in healthy soil where there is a lot of sun. With the right size pot you can even grow cherry tomatoes. Don’t plant your tomatoes too close together and build cages around them to help increase yields. The second vegetable that you can grow is carrot. Start in the early spring using loose soil. Space each carrot about 3 inches apart and water early and frequently at first while the seeds are still germinating. Be sure to weed diligently and water often to keep the carrots from splitting. Also interplant with other veggies to manage pests. A packet of seeds can yield upwards of 30 pounds of carrots. Another great summer favorite are peppers. Peppers are an awesome vegetable to grow because they vary in taste, color, size, and can be a great addition to almost any recipe. If you’re attempting to grow them from seed, start indoors early in the year, but most people opt for starter plants from a local nursery. Once the threat of frost is completely gone, plant them in your garden about 12-18 inches apart and in rows two feet apart. Depending on the type of pepper you chose, the plant could grow up to several feet tall. You will need to stake all pepper plants to support growth and moderately water them. Be careful not to overwater or over fertilize. If you are looking for a vegetable that is remarkably high in iron and a great addition to any salad or omelet, then spinach is right for you. To grow spinach, sow seeds about 6-12 inches apart in moisture rich soil where there’s lots of sunshine to partial shade. Apply fertilizer, water the plant liberally, and mulch under to protect the soil form losing too much moisture. Once the plant begins to reach a desired size you may harvest often since the plant will produce continuously. 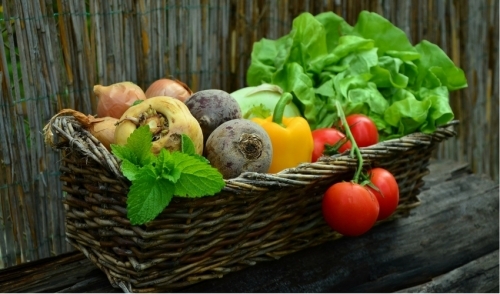 Growing your favorite vegetables is a very simple and easy thing to do. Everything from tomatoes to even green beans can be done on your own with little bit of labor and some love. While not every vegetable is totally foolproof, enjoy this list of plants and add some of your own for a healthy and delicious summer. © 2019 Farmers Co-op / Old Town Country Store. All rights reserved.